Meat People is a restaurant and cocktail bar in North London that has been established with the people in mind. 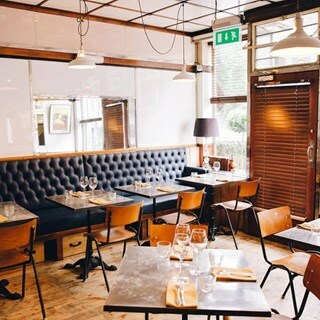 Housed in a Grade II listed building, Meat People is a stylish venue, with a tiled ceiling and wooden panelling lining the walls; the steel-framed windows still evoke the era of the ocean liner, particularly in light of the mustard yellow upholstery and the tin-like hanging light fixtures. The drinks list is particularly impressive: Meat People mixes up a selection of classic cocktails using only the finest of spirits, alongside an extensive wine list and a selection of beers brewed locally, in Greenwich. The food is delightful, serving a variety of superb meat cuts sourced locally and from around the world: they serve only the highest quality cuts and only the freshest of ingredients, receiving glowing reviews with every dish. Why not try the Flat cut sharer? A spiral cut of prime rib, topped with a beautiful salsa, or maybe one of our specialty cuts like Onglet or Bavette? These mouth watering cuts start at 200 grams and go up to however much your stomach can handle!!! Now hosting a brunch that packs a punch. 10am - 4pm Saturday & Sunday, definitely one to check out. 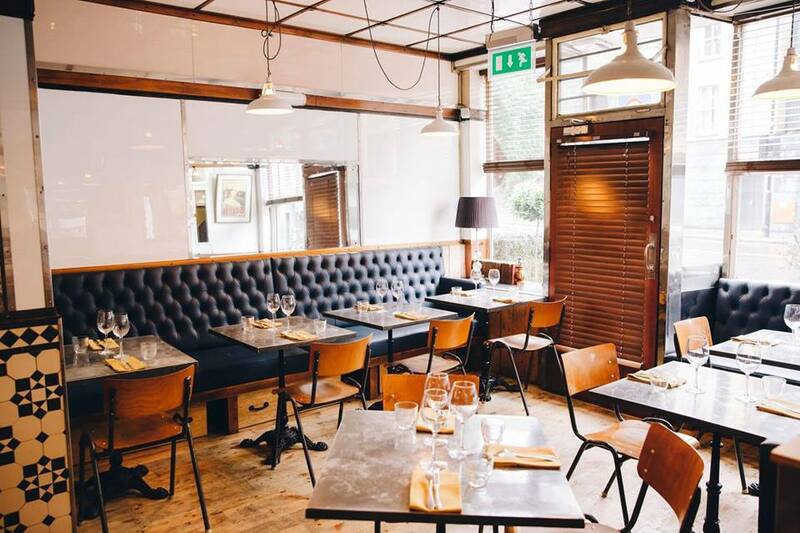 Meat people is a cool bar and restaurant in Islington, ideal for a bite to eat in the evening, a couple of drinks after work, or even to get the party started before a big night out in North London. Great service, good food and flavour would recommend the octopus really clean flavours. Positive: The food was very nice,and our waitress was kind and helpful. Negative: Not very happy about the 12.5% optional service charge which was added without being asked. Thank you very much indeed for taking the time to write your review following your visit to Meat People! We are glad that You had a good time! However, service charge which was added to Your bill is optional. There are 2 prices on the bill ; with service charge and without. Our customers can chose which price they want to pay at the end. Also, there is a note on the menu that 12.5% service charge will be added to Your bill, so there is no need to ask if we can add it. Great food, attentive and friendly staff and a nice atmosphere well worth a visit!! Lovely service and fantastic food!! Lovely place! Food, specially steaks where amazing! Juicy and tenter. However the mash room risotto was the best I have ever tried. Service quick and attentive. Staff were overly reserved and didn’t understand us very well. Lovely evening, great service, delicious food, I have been very satisfied with each and every visit I did during the past 5 years. Will be back ! I just wish they would improve the furnishing as it is not exactly a cheap place and seat are quite basic and uncomfortable and if you have a chance to sit I  the way (entrance or kitchen) which could put a damper on a romantic night. Thank you very much for taking the time to write your review following your visit to Meat People. We are are absolutely delighted with Your review and grateful to have You coming back since 5 years! Bad bottle of wine but replaced without fuss - full credit. My meat over cooked - other meal spot on. Been twice before and both times were excellent - without fault. At this price though it needs to be perfect everytime, hence the points off for this attempt. Thank you very much indeed for taking the time to write your review following your visit at Meat People! My sincere apologies for “over cooked meat”. However we have received good feedback after check back on your food by waitress. We would compensates for it! Regarding that bottle of wine, it was not fault/off. We have checked it and bottle you chose, was just typical full body and tannins red Greek wine. We are happy that You liked the secon bottle! Hopefully it was not Your last visit at Meat People and in the future everything will be perfect! Heat food and lovely service. I'd definitively come back to Meat People. The meat was amazing, the staff very nice. All was perfect! Amazing food!! Brought a bottle of wine on a Sunday and had the fillet steak. Would recommend. très bonne adresse pour manger de l'excellente viande. I absolutely love this restauraunt. The food and cocktails are always excellent. The staff are also excellent. Incredibly friendly and helpful - they really cannot do enough. Overall my husband and I love it and will definitely be back. Great evening for my partners birthday. Good food, friendly service and a relaxed atmosphere. Excellent food! Service was superb! massively appreciate the staff accomodating a birthday celebration request when I made the booking - excellent customer service. I will definitely be returning. Thank you for a great meal! Very cute restaurant with a nice atmosphere. The waiting staff are very welcoming and friendly. The food was amazing and reasonably priced for London prices.